I'm ready to stop talking about Millennials. I couldn't even tell you how long it's lasted, but for years now, every week, I see at least one blog post with "6 Reasons The Young People Are Leaving Your Church" or something like that. Everyone shares it, and we ministers read it and wonder whether we need to start scrambling to adjust our church culture/worship style/social media strategy to the winning approach that is supposedly going to fix this problem, and get younger people filling our buildings. I'm beginning to wonder if the the big problem with Millennials is not that they haven't accepted our values, but precisely that they have. At least, they've accepted the implicit ones. With our words we said God is important, while our actions often taught otherwise. The message has come through loud and clear that when it comes to personal fulfillment/success/achievement/acceptance, these are essentials without which your life won't mean anything. God is good, but God can wait. In walking away from church, the next generation has simply done what many of the previous generation implied they ought to. But enough about Millennials. Really. I want us to think about the actual directions these conversations have tended to move churches. When we are in a constant state of pandering to any people group, we are operating from a position of scarcity, and our primary goal is the survival of our institutions. We talk about gloom and doom. We despair over how the church can survive at all if it isn't the majority, controlling the economy and politics of our nation, and we forget Jesus' own language about the church being a narrow path that only a few would find. When churches are caught up in a panic about institutional survival, they hoard money and resources, they make desperate pleas for people to stick around (though they are unable to verbalize why anyone ought to), and above all, they don't take risks. The focus turns totally inward, and it can easily become a hotbed for accusations and tensions, because it eases our consciences if we can find someone to be at fault for what threatens us. We have far too many conversations about who we are trying to attract and hang on to, and far too few conversations about why it is we need them in the first place. Let's remember the kind of God we serve. Our God was, is, and will always be a God of hope and action. God delights in releasing people from what enslaves them, and healing the wounded. Jesus explained the focus of his ministry by referring to Isaiah 61, that captives would be set free, that the poor would receive good news, and that a time of the Lord's favor would be proclaimed. As Jesus ascended to the Father's right hand, having risen from the dead, he established a mission, that good news would be proclaimed to the ends of the earth, that people aren't stuck in their plight, and that God is at work in redeeming people's lives, even now. 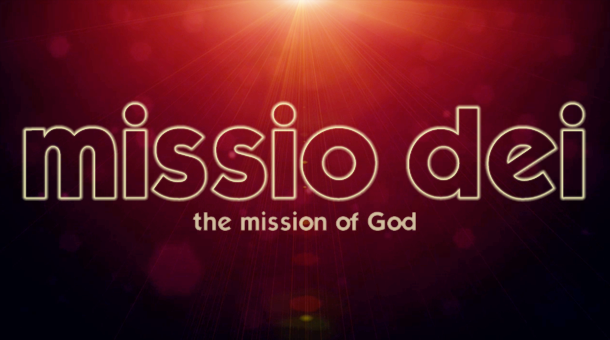 We participate in this mission by leading people to faith and baptism, sharing with them the teachings of Jesus, and teaching them how to walk in his footsteps as disciples. In general, I think we would do well to get away from using language about God "establishing the church." 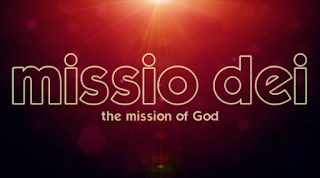 Before the church, there first came the mission, and the commissioning of the church was to fulfill that mission. Wherever the people of God are, because of their willingness to be available to God and God's purposes, good things should start to happen. In the way that salt seasons and preserves, Christians enhance and solidify the best parts of a community. In a way that light shines in the darkness, Christians live so passionately into God's mission that their loving presence is conspicuous. Christ's promise was that we would have abundant life, and the scope of that promise is as much about the present as it is about the future. We are in the work of saving souls, but we are just as interested in redeeming lives. In fact, the two concepts are really inseparable. We prepare best for the next life when we embody in this life the values and ideals by which we intend to live in the presence of God. In other words, "On earth as it is in heaven." Rather than get caught up in counting our attendance, or fretting so much about what is going to "get more young people in here," what if we started making note of places within our communities, schools, and occupations where there is brokenness, hopelessness, or injustice? Who near your church building is working a dead-end, minimum-wage job, with no options? What if you got to know them, and tried to really understand what life is like for them? What if we committed ourselves to serious efforts to help the lost find hope and better life, regardless of whether they gave us some sort of allegiance in return? What if we undertook such large efforts to partner with God in redeeming what is broken in our world that the only way we could fulfill this mission would be to invite others to help us in the endeavor? What if we started including people to help us in our efforts who don't even know the Lord yet, so that they can learn through their experiences along side us what it means to be a follower of Jesus? Would they finally start to think about eternity when they can see it living within our hearts and overflowing into our actions? I don't doubt I'll continue to be mindful of how churches can best connect with Millennials, or whatever generation it is that we are supposed to panic about next. I don't pretend that I'll quit noticing things like attendance and contribution at church. But I really hope that first and foremost, we will get completely caught up in the things that God can do if we make ourselves available for his use. If that results in new Christians--and I know it can--then terrific! But let's stop doing things simply because of a desire to placate a certain type of person or to save our institutions. God isn't going away, nor is the mission for which he created his church. God will finish what he has started, and we glorify him best when we do our part to help bring his work into fruition. If we're going to attract anyone to our churches, let's let it be because we have such a large vision for the good of the people around us that we need the extra help. Let's let it be that God's love in our lives is too evident to ignore, and they can't help but wonder what's making us the way that we are. Let's be so committed to the mission that we continue to pursue it, whether or not they show up. We love people because God has loved us, and not because of what we hope to get in return from them.